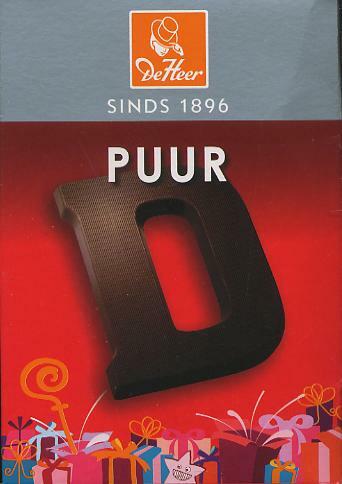 De Heer Dark Chocolate Letter Small D - Chocolate Letters - The Dutch Shop LLC your store for Dutch groceries. sugar, cocoa mass, cocoa butter, emulsifier:soy lecithin, natural vanilla flavor. Dark chocolate: cocoa solids 48% minimum. May contain traces of milk, nuts, peanuts and wheat gluten.